The late John Morgan was the undisputed daddy in relation to the murders of Princess Diana, Dodi Fayed and Henri Paul. Thankfully John lived long enough to provide a massive volume of work on this case. 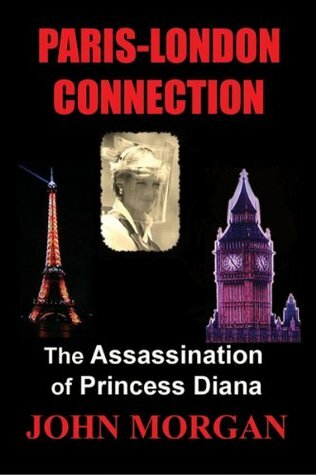 'Paris-London Connection: The Assassination of Princess Diana' (2012) is a well recommended introduction for readers who are inquisitive enough to get at the truth of this state sanctioned murder.I have previously read Morgan's huge collection of data in his 'How They Murdered Princess Diana- The Shocking Truth' published in 2014. He has also provided the six volume series 'Diana Inquest' as well as his critique on Scotland Yard's Paget Inquiry. Brief yet convincing evidence that Diana, Princess of Wales was murdered by the British Royal family. Well, he convinced me that it was murder.Well-written, very good on facts and detail, very convincing. So much so that I wonder we still have a monarchy in this country.